This is a really cool alphabet. Would love to see this one as a daily 'give away'. Enjoy the giveaways, have for years and years! Shows $5.97 on the sidebar, but when I put it in the cart it is $14.97? 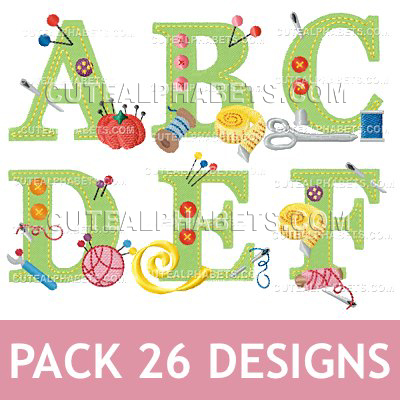 Thank You for the Cute Sewing Font set for just $5.97! !